As details regarding the tax reform measure on Capitol Hill become better understood, it’s become obvious that passage would demolish the tax structure that has long supported private home ownership. The bright shiny things in the tax package that have gotten much initial attention are the effort to limit the mortgage interest deduction (MID) to financing that does not exceed $500,000, as well as the plan to end property tax write-offs above $10,000. If passed, these provisions would be a significant problem in the nation’s high-cost metro cores, including New York, Boston, Washington, Seattle, Portland, and much of California, New Jersey and Connecticut—especially when combined with an end to deductions for state income taxes. To make things worse, there are other parts of the tax reform package that impact homeowners nationwide, including owners in low-cost and rural communities. The tax reform legislation would end the ability to write off mortgage interest for second homes. It substantially lengthens the holding period to qualify for the capital gains deduction on the sale of a personal residence. 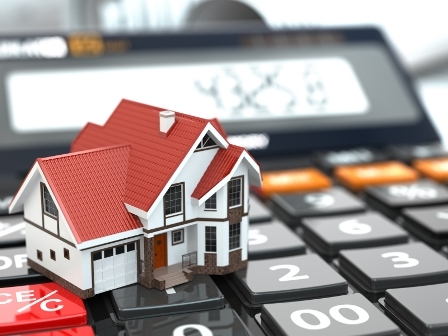 There would be no deductibility for home equity loan interest costs. The moving allowance would end, and mortgage-debt forgiveness would be terminated. What’s missing from the Republican tax reform plan—at this writing no Democrat has signed on in support—is any effort to increase homeownership and the resulting jobs and economic benefits that it creates. This is not just some fuzzy notion about the American Dream; rather, it’s the hard fact that real estate represents a huge portion of the gross domestic product. According to the Bureau of Economic Analysis, the GDP reached $18.6 trillion in 2016. Of this amount, real estate chipped in $2.48 trillion, or 13.3 percent. In comparison, manufacturing was worth $2.18 trillion, retail contributed $1.1 trillion, and lawyers produced services worth $245 billion. So here’s the question: If you want to gain more tax revenue and increase the job base, why not do something to encourage more real estate consumption? The logic here is fairly obvious: if existing home sales top 6 million instead of 5.5 million, don’t consumers buy a lot more furniture, rugs, roofing and window treatments? Don’t we employ more people and generate more taxes inside our borders when the real estate numbers are bigger? In 2008, the government created a tax credit for first-time buyers of as much as $7,500 for married couples filing jointly and $3,750 for single taxpayers. The credit phased out for joint filers with incomes of $150,000 or more and for single filers who earned at least $75,000. It defined a “first-time” buyer as someone had not had his or her name on a real estate title for at least three years. The 2008 credit was largely the right idea, but it came with a hook: If you got a $7,500 tax credit when you bought, then the 2008 program said that when you sold, you had to pay back the entire $7,500 to Uncle Sam over 15 years. The result was not a lot of public enthusiasm. The government tried again in 2009. It raised the tax credit to as much as $8,000 and dumped the repayment requirement. The government also came up with a tax credit for existing homeowners. Those who purchased a replacement property could get up to $6,500 in tax credits. Home sales rose in 2009, but the tax credit program ended on April 30, 2009, so what happened next was hardly a surprise: home sales fell in 2010. The package of changes contained in the current tax reform proposal threatens to substantially hurt the real estate marketplace and with it the rest of the economy, a result that should thrill no one. There should at least be something in the legislation that encourages home sales and the broad economic benefits they represent, so how about a nice and easy concept, such as a $10,000 tax credit with every purchase?